Streamweaver: Just launched, Streamweaver lets you invite friends and jointly record video. When you’re finished, the app automatically stitches the video together to give you a split-screen view with multiple angles. After you can share the video on Facebook, Twitter, email, or SMS. You can see the end result in the highlight reel above. Streamweaver also breaks away from today’s mobile video apps by delivering split-screen viewing experiences. After friends record and upload their videos through the app, Streamweaver combines them into a single split-screen video that plays all perspectives, uncut and synchronized, at the same time and on the same screen. While this viewing experience is common in TV, film, and advertising, Streamweaver is the first to bring it to mobile video. CoPilot Live: One of the biggest updates today goes to the CoPilot Live apps. 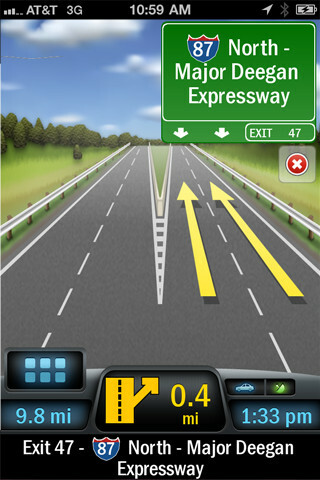 The update has not hit the U.S. version yet, but when it does you can expect a ton of new features including support as an iOS 6 Maps routing app for transit directions. Other improvements included: updated NAVTEQ street maps, new current road info display, improved traffic data, and a number of other new themes and features. Screens VNC gets iOS 6 support.